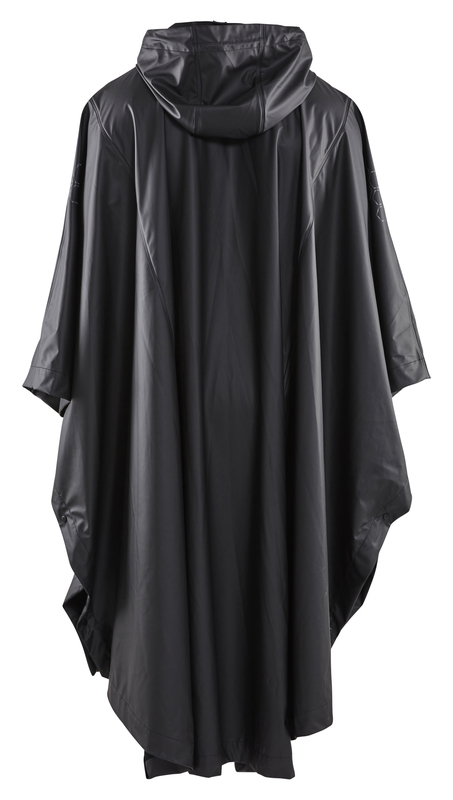 Longer rain poncho with reflective pattern. When a storm comes in, a rain poncho is the perfect rain protection to pull on over your regular clothes. 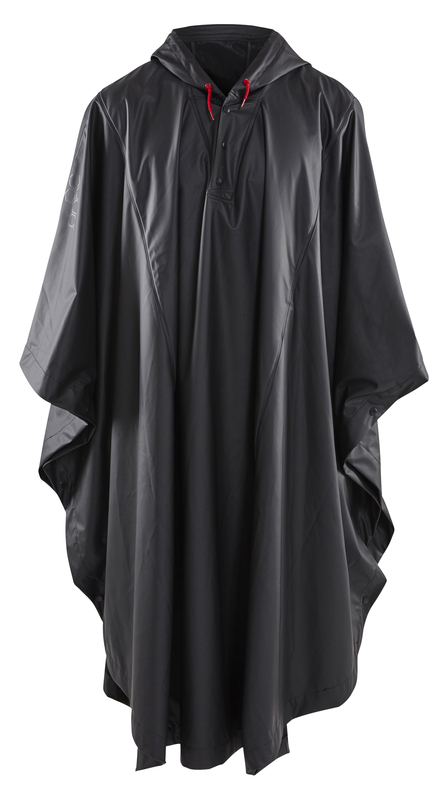 The poncho is light-weight and flexible with good movement and has wrap-around fastening at the neck and an adjustable hood. The shoulders have a reflective pattern for increased visibility. Certified to EN 343, Class 3.1, protection against bad weather.